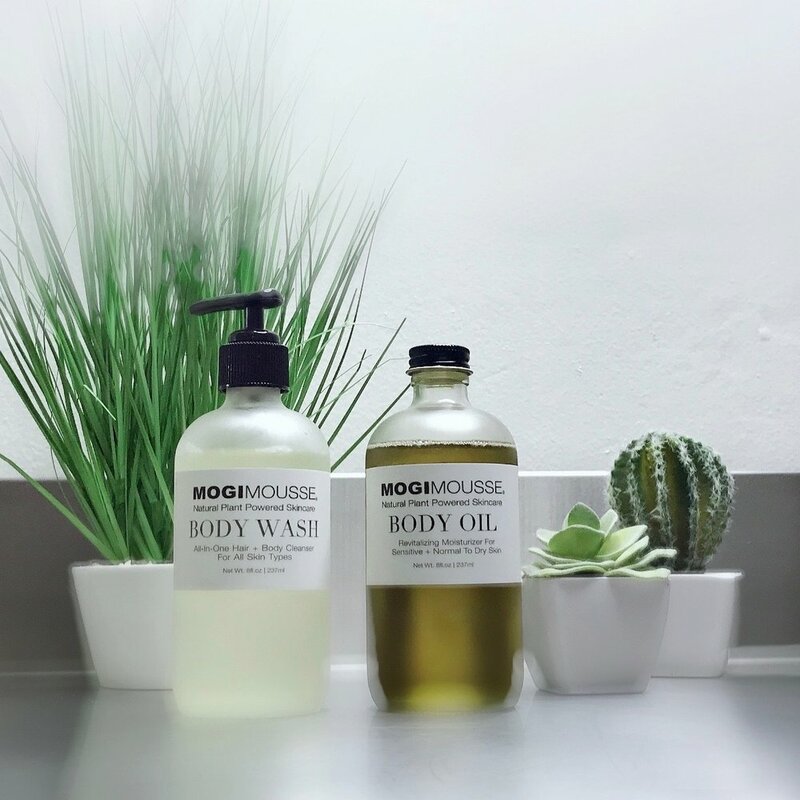 MOGI MOUSSE brand is 100% organic and vegan which makes me happy. The minimalist luxe packaging (glass jar) looks BOMB on my bathroom shelf. Most importantly, the product is amazing! 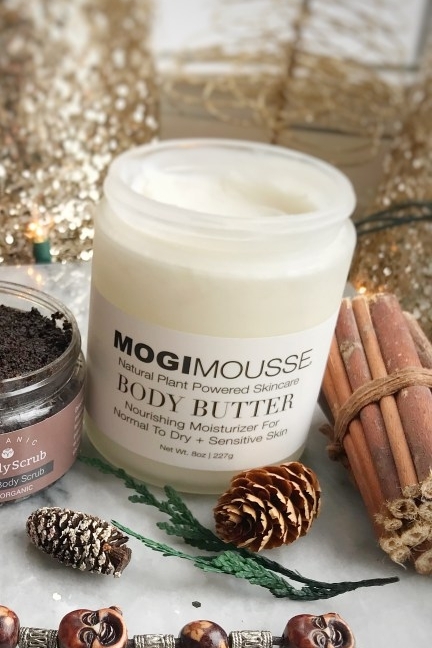 This body butter is so thick and rich. I take a gum-ball size amount and warm it up in my palms to soften the butter. Nothing makes my skin this hydrated. The scent might be my favorite part. It smells like Fruit Loops! Not in a strong way, but subtly …subtle Fruit Loops. Yes. More here. Ah, Winter. I love your chilly mornings and blustery days. The gorgeous snow falling, icicles glistening. But, my skin does NOT love the itchy, red, dry patches that your cold, dry air brings. 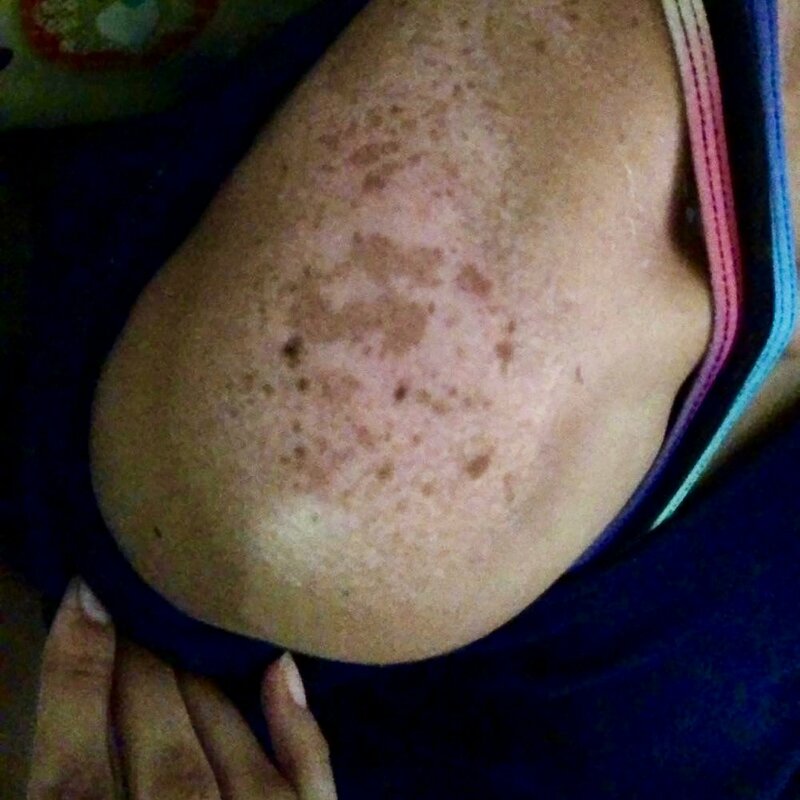 As a psoriasis and eczema sufferer, this time of year wreaks havoc on my skin. Over the past few years I’ve really been tweaking my skincare routine, so that the damage is minimal. My skin will never be perfect, but these products I’m going to share with you really help during these Winter months. 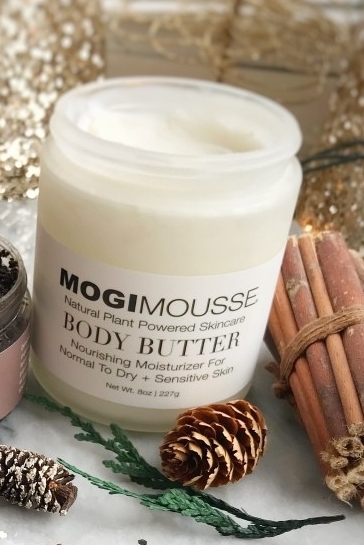 MOGI MOUSSE® Body Butter has become a Winter staple in the Bishop house. I’ve used it the last 3 years on my dry, itchy skin. It is SUPER thick. You have to warm it up between your fingers and spread it on. But, the hydration it brings my itchy skin is outta this world! I love it. It keeps my legs and hands moisturized even on the coldest days. I apply it every time I shower, especially when I shave my legs (but, c’mon…it IS winter). Bonus- it smells like fruity pebbles to me. My legs have never been happier. It is pricey- but it lasts me all.winter.long. So, that makes it totally worth it in my book! 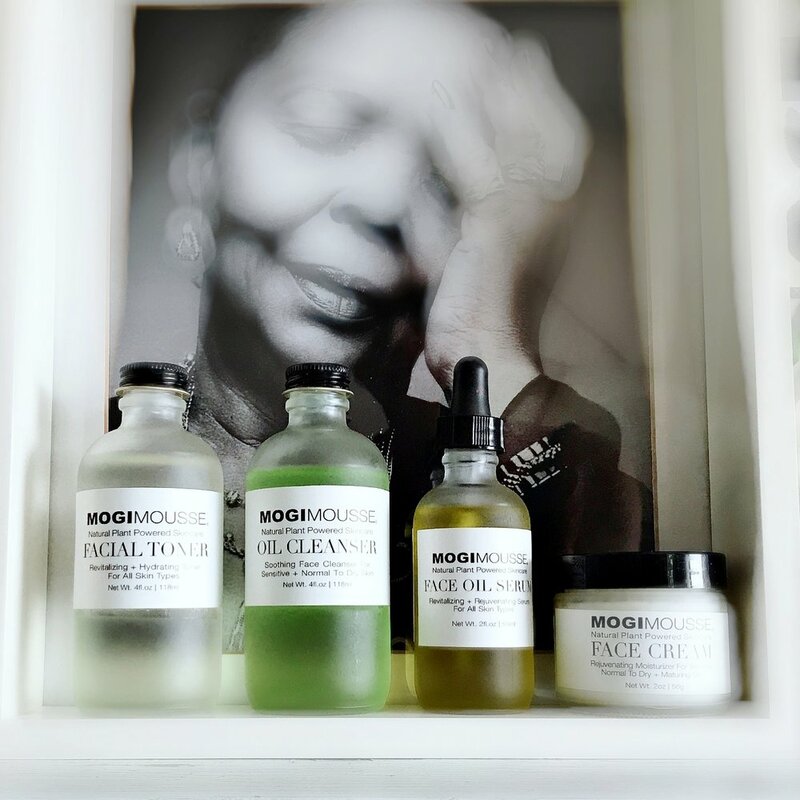 MOGI MOUSSE® Face Cream is another product I LOVE for when it’s really cold and dry. I add it to my nighttime routine, so that while I’m sleeping my skin gets all the moisture it craves. I have worn it during the day when my skin is uber broken out and patchy, and it works okay under makeup. But I would only recommend that if you have super dry skin like me. It’s definitely another Winter staple I just can’t make it through the season without! If you like to stick to one brand, they also have an amazing body oil and scrub that I love (y’all know I love a good sugar scrub! ).